Mark Wessels A Fresh Approach To The Snare Drum DVD download. Whether you’re a first day beginner or have been playing the drums for several years, learning the fundamentals of technique, rudiments and music reading is very important. 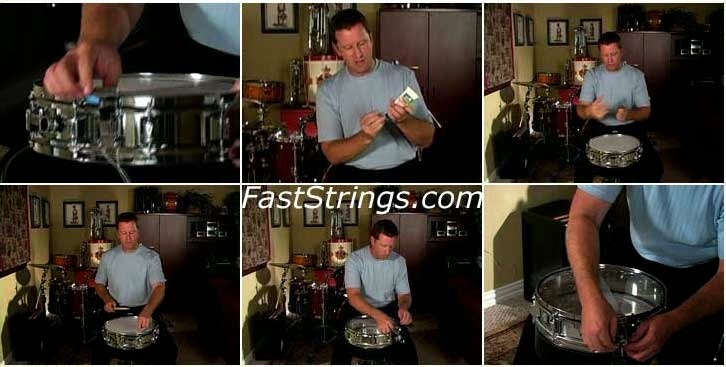 From gripping the sticks properly to learning the essential rudiments, Mark Wessels uses excerpts from his popular method, A Fresh Approach to the Snare Drum to provide a solid foundation for successful drumming skills. Also the set contains Mark Wessels Rudimental Technique as additional stuff for study. this is one of the best videos there are for snare learning, if not the best. We waiting for new drum tutorials!